At Tea Collection, our boys swimsuits are designed to keep him adventure-ready all summer long. With rash guards in bold colors and fun swim trunks made to match, he'll be ready to run and jump, swim and splash. 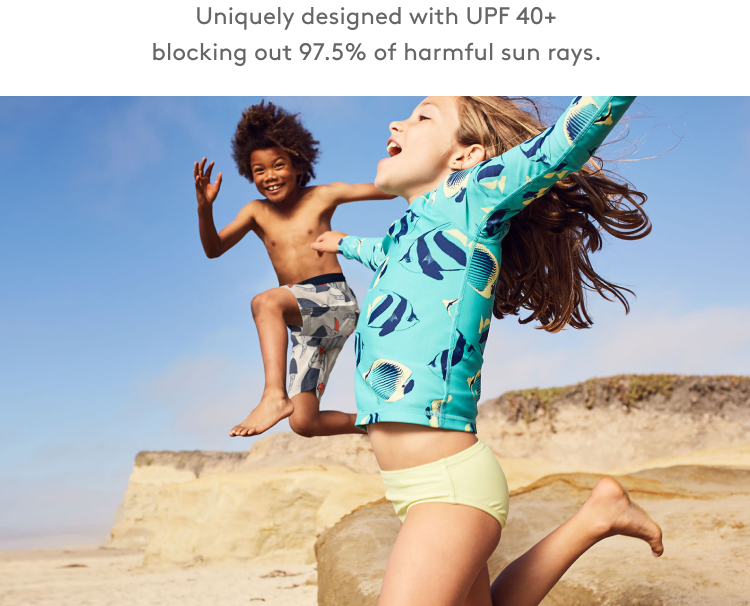 Plus our boys swim trunks come in UPF40 styles that look cool and feel good so he can wear them all day, every day. Shop Tea Collection's swimsuits for boys that have been hand-picked by our stylists for many fun looks at one really great price.